Bitcoin (BTC) has held steady above $3,600 after yesterday’s upwards surge that sent it climbing from lows of $3,400 to highs of $3,700. 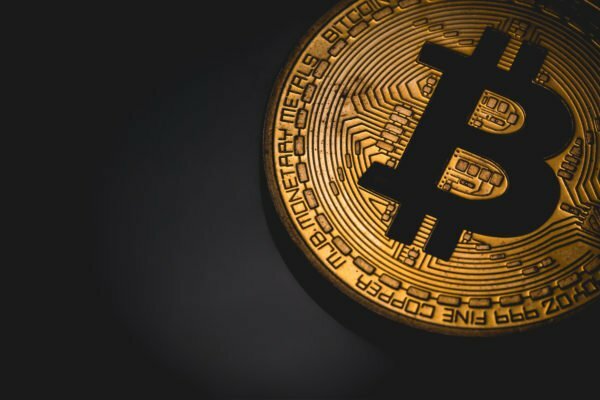 Although often times these upwards price movements are typically followed by a cool-off period that results in Bitcoin surrendering a portion of its gains, BTC has held steady at its current price levels.Now, analysts claim that Bitcoin may still have further room to climb, as many technical indicators are beginning to turn bullish following yesterday’s price surge.Bitcoin (BTC) Stable Above $3,600At the time of writing, Bitcoin is trading up less than 1% at its current price of $3,650. Over a one-week period, BTC is trading up from its weekly lows of $3,400, which has proven to be a relatively strong level of support for the cryptocurrency.Yesterday’s price movement allowed Bitcoin to break above its previously established resistance level of $3,500, and it is likely that the cryptocurrency will beginning establishing a new trading range in the near-future.Chonis Trading, a popular cryptocurrency analyst on Twitter, recently explained that it is important for Bitcoin to finish the week above $3,550, which would bullishly engulf last week’s candle and potentially signal that BTC has more room to climb.“$BTC – still a couple days left in the weekly #bitcoin chart…Ideal close with this weekly candle is above the $3550 area which would bullishly engulf last weeks candle and maintain a decent tweezer bottoming candle combo… Note current resistance coincides with Sept 2017 zone,” he explained.$BTC – still a couple days left in the weekly #bitcoin chart…Ideal close with this weekly candle is above the $3550 area which would bullishly engulf last weeks candle and maintain a decent tweezer bottoming candle combo… Note current resistance coincides with Sept 2017 zone. pic.twitter.com/nPfn8QNREC— Chonis Trading (@BigChonis) February 8, 2019Because Bitcoin has found stability above $3,650, unless there is a sudden influx of selling pressure it is likely that it will be able to sustain above $3,550 throughout the weekend.Bitcoin Technical Indicators Signal That BTC May Continue Climbing in Near-FutureAlthough it is clear that BTC must defend its recent gains over the weekend in order for its bullish momentum to be maintained, multiple technical indicators are now signaling that Bitcoin likely has further to climb before losing its upwards momentum. Bitcoin (BTC) may have further gains ahead of it.In a recent tweet from popular cryptocurrency analyst Bleeding Crypto, they noted that in addition to February being a historically bullish month for the cryptocurrency, it is also coming close to breaking above its nine-week Exponential Moving Average (EMA).“$BTC Update: I really like the way things are looking at the moment on the weekly Time frame… Closest we have been to the 9EMA in 8 weeks (But still under)… Its under value ATM (VPRV)… MACD turning bullish… February historically has performed very well. (40%-96% past 4 year),” Bleeding Crypto explained.$BTC Update: I really like the way things are looking at the moment on the weekly Time frame.Closest we have been to the 9EMA in 8 weeks (But still under)Its under value ATM (VPRV)MACD turning bullishFebruary historically has performed very well. (40%-96% past 4 year) pic.twitter.com/yKH8Pnm3lb— Bleeding Crypto (@Bleeding_Crypto) February 9, 2019How Bitcoin finishes the weekend will give traders and investors alike significantly more insight into where the cryptocurrency will head in the week ahead.Featured image from Shutterstock.